Of Sound Mind and Spirit: Should You Attend the CNMC? Should You Attend the CNMC? 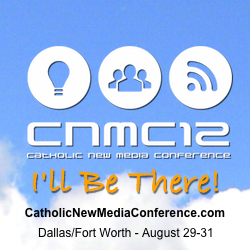 Maybe you’re heard about the CNMC (Catholic New Media Conference), but aren’t sure whether it’s for you. Do you feel a call to attend, but feel a little awkward about the idea of traveling to Dallas / Fort Worth in August? I went to my first CNMC in 2009 when they met in San Antonio, Texas. Shelly and I had just recently started our blog, so we weren’t terribly experienced in “New Media” yet. My main reason for attending was simply because I had become a huge fan of Fr. Roderick, Lisa Hendey, and other SQPN podcasts. Looking back, I remember how incredibly nervous I was. I practically insisted that Shelly come with me and we brought our biggest promoter, manager, and fan: our mother. Also, to be perfectly honest, I was terrified someone would decide that I wasn’t a good enough Catholic to be there. 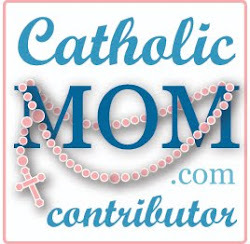 I worried that there would be some kind of litmus test for walking into the celebration and calling myself a “Catholic blogger.” Was I devout enough? Did I attend Mass enough? Could I answer questions about or defend the faith sufficiently? As I looked over the list of speakers I became embarrassed that I didn’t recognize their names; however, the “fan girl for SQPN” inside of me beat out the fear turning over in my stomach. I just knew I was meant to be there. At the Friday night reception, Lisa Hendey hugged me and talked to me like we’d known each other for ages, even though we had barely communicated online. And so it went the entire weekend; everyone we met and talked to embraced us, encouraged us, and friended us. There was no “how well can you recite the Catechism?” test to get in the door. All were welcome. Amazingly, SQPN genuinely created a loving Catholic community built around their mission of Evangelization through New Media and our shared love for God & the Church. The love, support and friendship I received from this community over that one weekend, sparked a burning desire to become a more informed Catholic, more experienced at New Media, and develop a closer relationship with Our Lord. What makes this Catholic New Media Conference different than other New Media Conferences? SQPN has emerged as a true leader in utilizing New Media for Evangelization. With each conference they broaden the base of their expertise by bringing in the top leaders in Catholic New Media. While we learn about the latest and best techniques to spread the Good News across the digital continent through Podcasting, Blogging, Website & App Development, and Social Media, the focus always remains on the reason we participate in New Media - to share God’s message with our world. 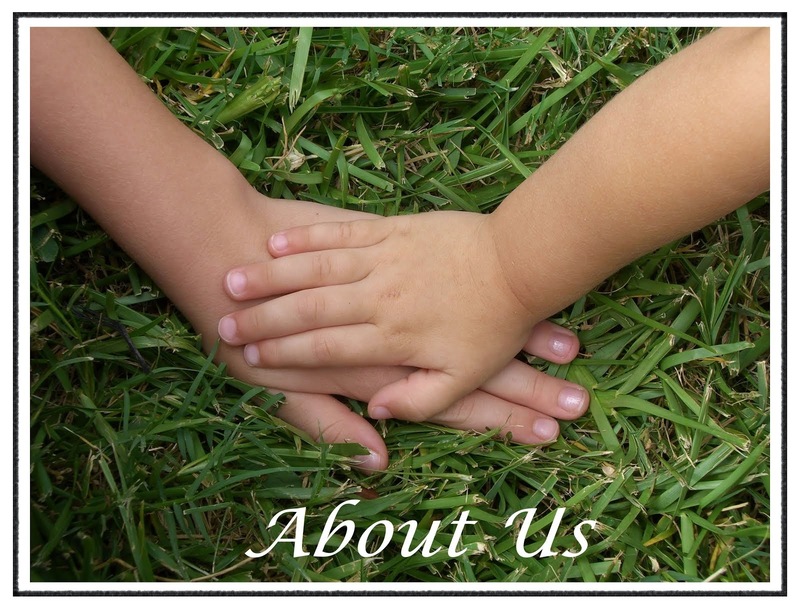 New media provides the vehicle for spreading His message by sharing our experience as we live out our faith journey. The Good News remains central to each CNMC every year. Throughout the conference, strangers become friends, creating a united community who uplift each other spiritually while learning about New Media and the Church. This community continues long after we return home, supporting and growing stronger. I cannot tell you how close I feel to so many people I've met once in person and now communicate online with because of this conference. The CNMC will make a serious impact on your personal spiritual journey and how you choose to share it online. If you cannot make the journey to Arlington TX in person for the Catholic New Media Conference, they are offering, for the first time, a Virtual Ticket. This CNMC Virtual Ticket will give you access to the audio recordings of all the sessions that will be held over the three days of the conference, plus exclusive bonus interviews with many of the speakers and attendees. It is almost as good as being there in person!! Visit www.CatholicNewMediaConference.com for more information and to register to attend or purchase a Virtual Ticket. 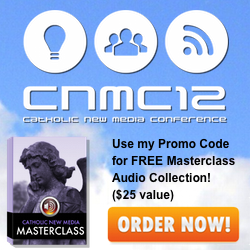 You can enter promo code "Spirit" to receive the bonus Catholic New Media Masterclass Series – A collection of presentations by the world’s leaders in the field of Catholic New Media. 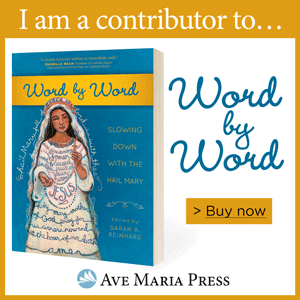 This collection is full of some of my favorite speakers from past Catholic New Media Conferences.